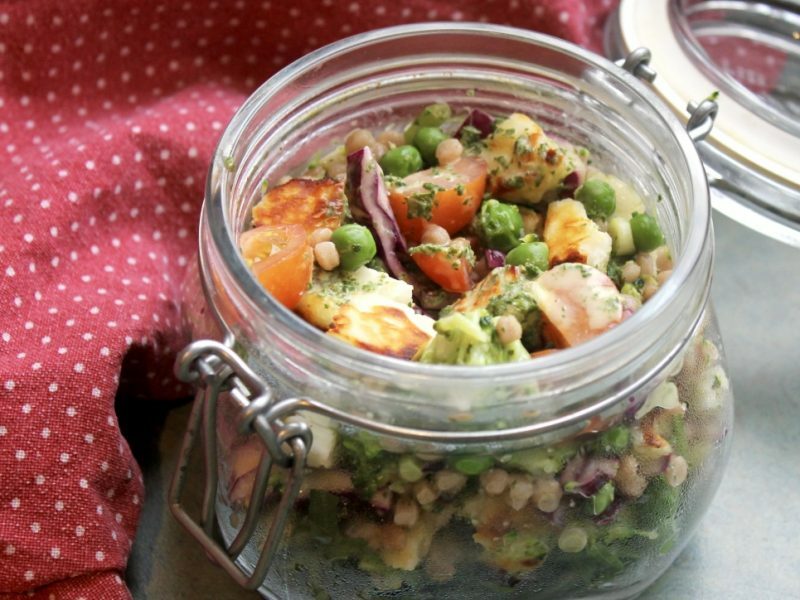 This is a great recipe to make ahead and pop in a lunch box! Cook your giant cous cous (I used wholegrain) according to the pack instructions. - Add the broccoli for the last 5 minutes and the peas for the last 2. Prep all your salad ingredients, blend together the dressing mixture until smooth and then toss everything together and enjoy!